medieval market town of Lamballe. of the extensive, pristine beaches of the Emerald Coast. alongside the original 17th-century mill wheel and stone fireplace. 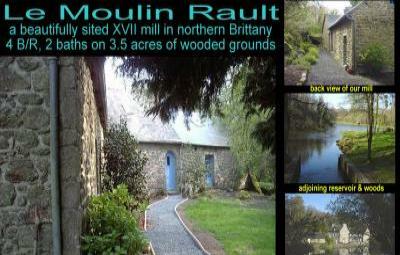 * Medieval towns of Dinan, Moncontour, etc. Fishing, Hunting, Rock Climbing, Antiquing, Horseback Riding. extensive marked trails, extensive ocean beaches beaches at 20km.